The 14-day free trial version includes all features. Run the .dmg file and select "Open" in the popup window, as seen below. Enter your email and password and start using the app. What are the differences between the different subscriptions BarBooks offers? BarBooks offers a simple subscription structure. We charge one price, with no additional license fees for using BarBooks on more than one device or for giving your assistant/ clerk or accountant access. First, we offer a pre-paid 12-month subscription for $720 (excluding GST) (equivalent of $60 per month (excluding GST)). Second, we have a month-by-month subscription for $60 per month (excluding GST). The services are the same for both subscription plans. You will get access to a stable, intuitive and easy-to-use product to save you time and keep track of your income and expenses. The advantage for signing up for your first 12-month period is that you will get rewarded with a gift which changes month-by-month. See Barbooksaustralia.com for our latest offers. For readers, we understand the constraints you have during your first year. So we offer a special rate of a 6-month free trial and the remaining 6 months at $30 ex.GST per month. Coming soon – Automated Bank Reconciliation for an additional $20 ex. GST per month. Launching in May. How do I buy a subscription to BarBooks? You can buy a subscription from our website. Choose your subscription type on Subscriptions page. You can use your credit card to make a purchase. After your payment has been processed, your subscription will be automatically activated. You can cancel your subscription at any time. For a month-by-month subscription, upon cancellation, we will charge you for usage up to and including the end of the current monthly billing cycle. For a 12-month subscription, you will still be charged for the current 12-month period, but not for any further periods. But before you cancel, we would like you to contact us and let us know if we can improve our product, so that we can keep you with us! We ask your permission to direct debit the monthly/annual subscription fees from your credit card. If payments do not go through, we will contact you and let you know. The BarBooks platform will also inform you if a payment has been unsuccessful. Please contact us if there are any issues in regards to payments. How do I install the BarBooks desktop app for Windows or Mac? It is very simple. You just need to sign up to register your email address and create a password for your account. You can download the latest version of BarBooks from our website for free, run the .dmg (for Mac) or .exe (for Windows) file and follow the instructions. If you are installing a Mac app you might see a popup window, like the one below. Click “Open” to install the app. Simply open the software and follow the prompts to register and set up your profile. If you have any problems with installation, please contact us on support@barbooksaustralia.com and we will assist you. If necessary, we will come to your Chambers and install it for you! Windows app: Works best on Windows 8.1 and higher. This app also requires .NET Framework 4.5 installed on your computer. iPhone and iPad apps: These version of the BarBooks app require at least iOS 8. Web app: The new BarBooks web app will run best on the latest version of your modern browser (Chrome, Firefox, Safari). How can I migrate from another accounting program that I am currently using? If you are coming from another accounting package please contact Charlotte on 04 7615 8335 or support@barbooksaustralia.com to see how we can assist you in migrating your data. Can I change my initial details after set up? Yes. Open the BarBooks app, in the top menu select ‘BarBooks’ then click on ‘Preferences’ to change your settings. You can then update your personal information, including your contact details, basic rates, and so on. For changes to your payment information, please go to ‘My Account’ page on our website and log in using your username and password. Do I own my financial data? How do I recover my data if my computer crashes? Your data is automatically saved and backed up by BarBooks, so that, if your computer crashes for any reason, you will not lose changes you have made in BarBooks. Your data is stored locally on each device as well as on our server. What devices can I use BarBooks on? 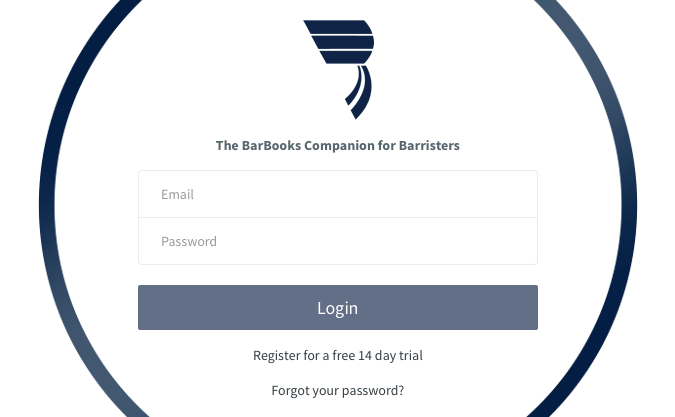 You can use BarBooks on all devices, Mac, PC, iOS and Android.